Discussion in 'How To' started by Critical Thinker, Jan 11, 2015. 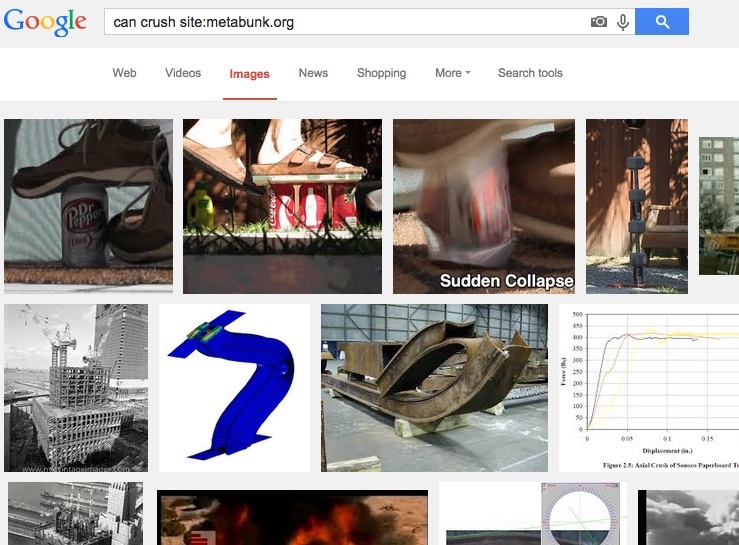 Let's say you see an image somewhere online and you wish to see if the image has already been posted on Metabunk. Let's take this image found in an article online at ThinkProgress.org . 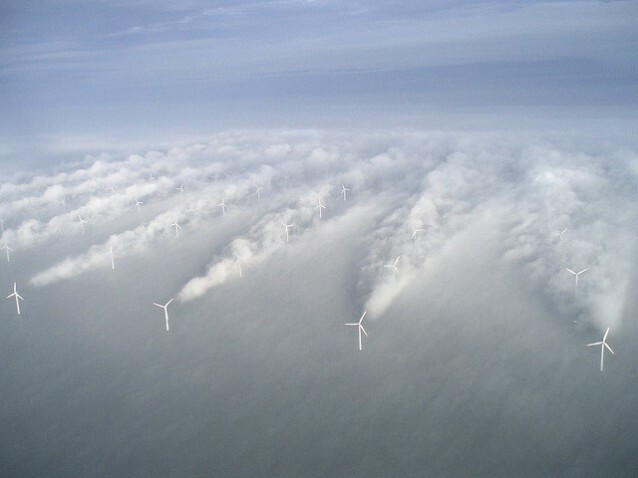 "Denmark Sets World Record For Wind Power Production"
Aerial picture of Horns rev wind farm in Denmark. Right click on the image and select 'Search Google for this image'. In this instance when you select 'Search Google for this image', you get this Google search of the entire Internet for that image. However you only want to look for that image on a specific web site, so the next step is to replace the image's descriptor tags (offshore wind farm), with the address of the website (metabunk.org) you wish to search for the image, proceeded by the term 'site:' . And viola.... you have searched for an image on a specific website, and in this case you would have found that the image does indeed appear on Metabunk, and you have a link to the page with that image. That only works with the "Chrome" Browser though. Even if i go to "google images" in Internet Explorer, and save the picture to my desktop, it doesnt let me drag and drop the image to search. i CAN use tineye.com and upload the photo there. Tineye is better in some cases and Google Image Search is better in others. For instance Mick uploaded a plane pic in April 2013 and tineye can't find it. hhmm neither can Google Images... found 3 threads it is in, but not the thread i was looking at. For instance Mick uploaded a plane pic in April 2013 and tineye can't find it. Well that's what you get for using IE. seriously though, I have just had a little play. In IE, if you go to google images and click on the little camera icon in the search box, it gives you 2 options. One is to paste the URL of the image you want, the other is to upload an image. If you have downloaded the image to your desktop, you can upload it into the search box on google images. presumably if you are on a website and click on a pic and can copy the URL (doesn;t seem to work on embedded pics in metabunk) then you can paste into the box. Not as quick as drag and dropping, but at least it works. THANKS didnt think to click the camera! thought it was just a pic... thanks!! Which one? The first one with the spirals? lol now its the first one that shows up. ok , i might be crazy. It might just be showing up because I searched for it, with the image in the original location, so it added it to the database.